Whether it’s a data capture tool, some training software or something completely new that hasn’t been considered before, our team of expert developers love creating bespoke applications and interactive systems for iPads, tablets and the web. This means that you get exactly what you want and need from a piece of software developed specifically for your event. Slick and engaging training tools that enable your audience to dive deeper into new and existing products, whilst allowing you to gather important feedback on current knowledge levels before, during and after your event. The Brief : To create an informative and entertaining in-flight application for sales staff to use to and from Munich to learn about the all new Audi A3. The Solution : A fun and engaging application delivered on our own 7” tablets that required Audi’s sales staff to complete a series of themed tasks, as well as allowing them to view videos and news bulletins about the all new A3. The tasks were completed on both inbound and outbound flights so that the client could gauge the effectiveness of the training that everyone had undertaken. Tired of wasting time and money collecting data with a pen and paper at your exhibition stand? 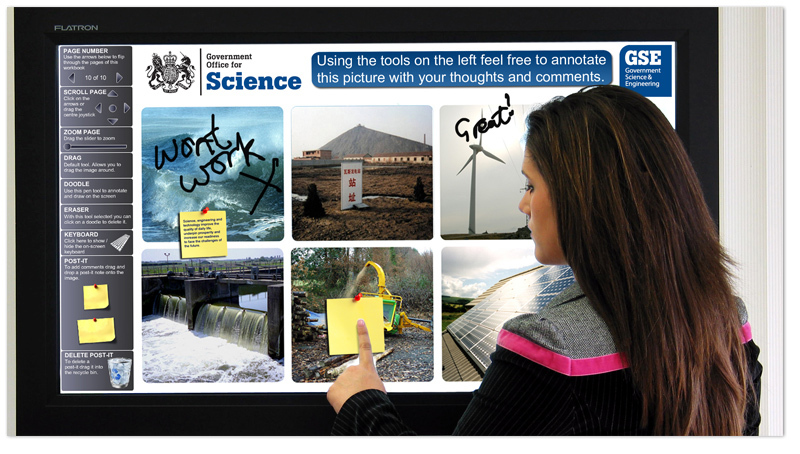 Use an electronic alternative to gather the data for you in a nicely presented touchscreen app. Data received could be viewed and displayed immediately, or purely for post-event analysis. The Solution : An iPad-based questionnaire that enabled staff to efficiently record prospect information and ascertain which products and services they might be interested in. Because the exhibition staff might have needed to move outside of the system’s wifi area (resulting in completed questionnaire data not being sent to an online database), the questionnaire featured a clever upload system, where any unsuccessfully sent data would be automatically submitted as soon as the staff member came back within wifi range. Our interactive quiz systems can be delivered on iPad and tablet devices, and are a great way to engage your audience and leave a lasting impression from an event. They are also great for use as team-building activities – creating some healthy competition and team camaraderie. The Brief : To provide a competitive but light-hearted interactive game for teams to complete during an end-of-conference gala dinner to round off the day’s seminars and workshops. The Solution : A mission impossible themed team quiz that tables completed during dinner. Tasks included spot-the-difference, simon says, hangman and some questions based on the conference learning objectives.